As low as $14.95 after coupon and 15% S&S, so just $.31 a roll! 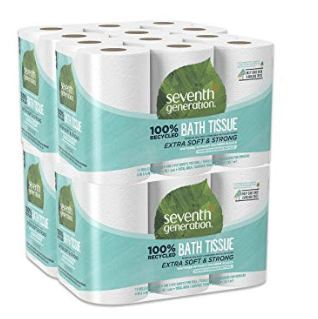 You can really stock up and also get another 48 rolls here for as low as $15.17 after another 30% off coupon and 15% S&S. 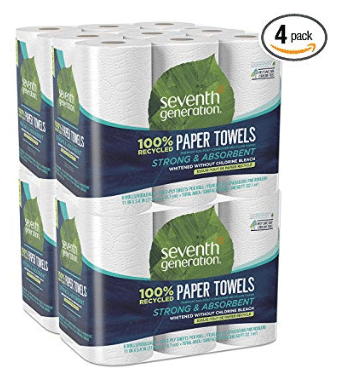 You can also grab a super hot deal on Seventh Generation chlorine-free paper towels! As low as $18.50 after coupon and 15% S&S, so just $.77 a roll! I grabbed both of these deals as these prices are well below my target price for non-chlorine bleached toilet paper and paper towel. The paper towel is high quality and absorbs messes well and the toilet paper is comparable to a soft & strong name brand you’d find in store, without the added chemicals. Head here to grab cheap Seventh Generation baby wipes and 50% off diapers!